WASHINGTON (Reuters) – How cheap can investing get? We’re about to find out. A new brokerage site will allow individual investors to build big research-driven stock portfolios for pennies. And a new investment advice site is providing tailored portfolio guidance for free. While Motif Investing (which sells complete portfolios of 20 or 30 stocks for $9.50) and FutureAdvisor (which aggregates retirement account and investment portfolio information and tells users what securities to buy and sell) both portray themselves as “disruptive” to the traditional money management business, they are part of a trend that began several years ago. That trend has been built on two key technology developments: Internet access and algorithms that can drive automated investing advice and portfolio construction. The start of that movement may date to 1975, the year Charles Schwab launched his discount brokerage. Before then, stock commissions could reach hundreds of dollars and the typical mutual fund sold with an 8.5 percent up-front sales charge that went into the brokers’ pockets. Now, online brokers routinely charge less than $10 to do a stock trade, exchange traded funds offer large portfolios with annual expenses as low as 0.05 percent a year, and the act of trading is increasingly separated from the act of giving advice. – FolioInvesting.com offers unlimited trading in pre-mixed portfolios of stocks for a monthly fee of $29. – Wealthfront manages money for 0.25 percent a year, with the first $25,000 managed for free. – Betterment offers automated investment management for between 0.15 percent and 0.35 percent. – Marketriders will do automated portfolios of exchange traded funds for $149 a year. So, watch that space and watch your money. It’s nice to pay $9.50 – or nothing at all – for something that used to cost hundreds or thousands of dollars every year. But not if it’s the wrong investment approach for you, or if it ends up costing you thousands in investment mistakes. Here are some points, beyond price, to consider when you’re thinking of adopting one of the new approaches. – Separate short-term investment advice from a long-term financial plan. If you’re not a complete do-it-yourself type, you may still need a real-life financial adviser to help you sort out how much money you should be saving, how to prepare for long-term care, how to manage your tax liabilities and your kids’ college tuition bills. You can buy as little or as much of this kind of advice as you need by paying a fee-only adviser by the hour or a flat dollar amount for a comprehensive plan. – Safety first. If you’re investing on the web, make sure that the company that is custodian of your money is a registered brokerage firm backed by the Securities Investor Protection Corporation and regulated by FINRA, the industry-funded regulator. – Understand what you are investing in. Folio and Motif are offering fractional shares of individual stocks (though Folio does offer ETFs in some of its portfolios). Most of the online money managers are offering mutual funds and exchange traded funds. There’s a big difference. Individual stocks give you the opportunity to manage your own tax consequences better than ETFs or mutual funds do, and they don’t include an additional layer of management fees that you would face with a portfolio of funds. – Figure out your investment philosophy. 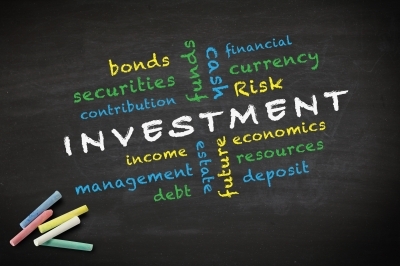 Most of the auto-investment sites offer diversified low-cost portfolios and little trading. Motif and Folio both offer portfolios that may be designed on the basis of a matching goal (a target date retirement portfolio); social trends (a portfolio full of discount retailers aimed at the new frugality), or old-fashioned fundamental investment analysis (a portfolio of companies that have good growth track records and reasonable valuations). Not all portfolios exist on all sites, so look at the offerings before sending in your money. – Figure out who does the work. Do you just want the advice and to do your own trading? FutureAdvisor is free. Do you want to hand it all off? You’ll have to hire one of the companies that currently does that for around 0.25 percent a year, give or take. That’s still 0.75 percent less a year than the average personal money manager is charging now. – Follow the bottom line. Not many of the new investment sites offer long-term personal performance data, and unless you are monitoring how well your own investments are actually doing(and benchmarking them against some reasonable bogey), you won’t know whether you’re getting a good deal or just an inexpensive way to run down your retirement account.